Application infrastructure and middleware spending could reach $30bn in 2018. The shift toward digital business models that harness emerging technologies such as cloud computing, IoT, analytics and AI is boosting worldwide spending on application infrastructure and middleware (AIM) with Gartner predicting that middleware spending will be over $30bn n 2018. The AIM market is being driven by wider technology trends including migration to cloud platforms and services, higher demand for near-real-time data and analytics, a shift towards an API economy, a rapid increase of IoT endpoints and the deployment of AI. "A new approach to application infrastructure is the foundation organisations build their digital initiatives upon, and therefore robust demand in the AIM market is testament to the occurrence of digitalization. 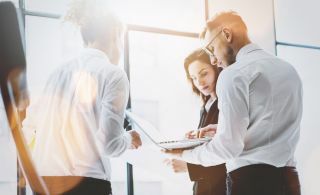 The more companies move toward digital business models, the greater the need for modern application infrastructure to connect data, software, users and hardware in ways that deliver new digital services or products." According to Gartner, the AIM market will grow even faster in 2018 and then spending growth will slow each year to reach around 5 per cent in 2022. The AIM market itself is also shifting from market incumbents to challengers. IBM, Oracle and other market incumbents that offer on-premises application integration suite offerings achieved single-digit growth in 2016 and 2017 and Gartner expects similar growth going forward to 2022. However, smaller challenger segments that are built around cloud and open-source-based application integration (iPaaS) offerings will continue to experience double digit growth. The iPaaS segment is still a small part of the overall market though it managed to earn over $1bn in revenue for the first time in 2017 with growth of 72 per cent. For those interested in the trends affecting the AIM market, Gartner will hold a complimentary webinar on June 7th, 2018 at 2pm BST.